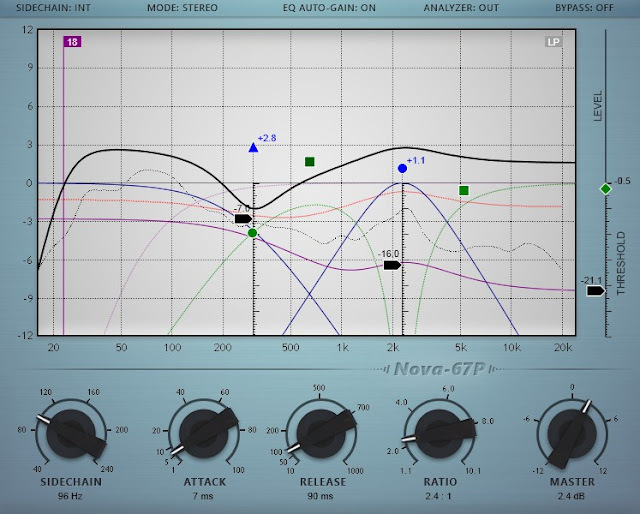 The Nova-67P is a free equalizer plugin from software developer vladg/sound. It placed 2nd in last year's KVR Developers Challenge DC14. 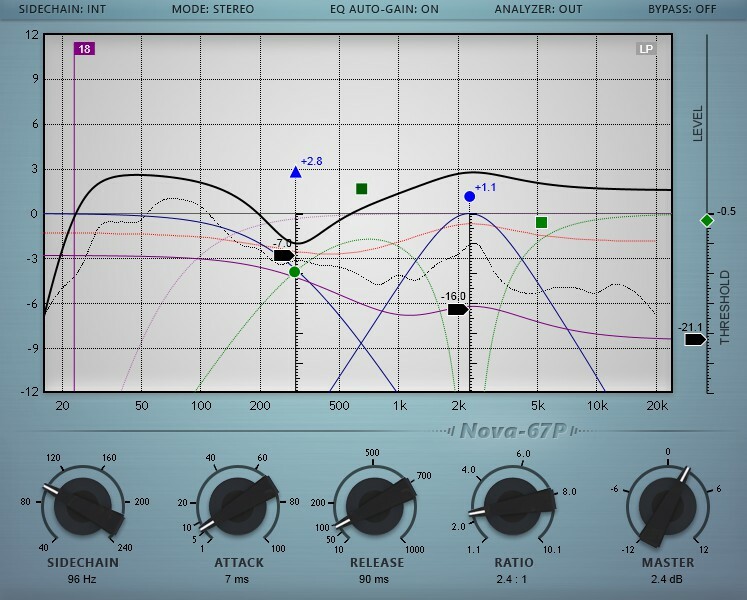 It is described as "a parallel parametric equalizer plugin combined with a compressor." This makes the Nova-67P a very flexible dynamic equalizer. It reminds me of the discontinued TC Electronic Dynamic Eq plugin that ran on their Powercore platform which I sometimes used, mostly on vocals. The concise manual included with the download helps the user grasp the full potential of the Nova-67P.